Free Parent Financial Planning Class in Santee 4/10/19! April 3, 2019 April 2, 2019 Abby H.
I received an email from the big kids school about this class and I thought I’d share. Spending and saving, taking control of your future! I am in no way affiliated with this workshop, I thought I’d share it with others who may be interested. This workshop is sponsored by The Santee Collaborative. $3, $4, $5 Sale at Flirty Aprons! March 13, 2018 March 13, 2018 Abby H.
I love aprons. I have, probably 5 or 6 that I wear at home, and I have a couple that I when we camp (washing dishes and cooking when you camp is dirty business!). I got an email from Flirty Aprons last night that they are having a huge $3, $4, $5 clearance sale. If you aren’t in the market for aprons, They also have a lot of great kitchen gadgets like veggie peelers, choppers, knifes, etc. I’ll be picking up a bunch of kitchen utensils and a few new aprons to kick off my holiday shopping. Yeah, it’s March, but I start my holiday shopping early and stash them away in the closet. Ralphs Free Friday Download: Chobani Smooth! January 19, 2018 January 17, 2018 Abby H.
This week, you can download an offer for a two pack of Chobani Smooth!I love Greek Yogurt, and I can’t wait to try this kind! WHAT IS FREE FRIDAY DOWNLOAD? An exclusive benefit to having an account online at ralphs.com is FREE products (yes, we said FREE!). When you download the free product coupon, it will be loaded directly to your Shopper’s Card and applied at checkout in-store. DOWNLOAD the digital coupon for the free product (make sure to download between 12:01 am and 11:59pm PT). View the coupon under ‘My Coupons’ in your account online or in the mobile app. You have two weeks to redeem this coupon in store! Pick up the product at your local Ralphs store and digital coupon will automatically apply at checkout. Don’t forget to check out the Kroger affiliate in your area, if you don’t have a Ralphs. There are usually freebies for all of the stores! 100 Business Cards from Vistaprint- Just $5! January 17, 2018 January 17, 2018 Abby H.
I’ve talked to quite a few people over the past week who have started a new business or endeavor this year. New businesses mean time for new business cards! And if you aren’t in need of business cards, they have some really great mom/parent cards that list your contact info, kids names, and any allergies. Great for handing out when you meet moms and kids you “click” with at parks and playdates! Vistaprint has a great sale right now- 100 Business Cards for $5.00 (plus shipping, which starts at $6.99). There are Pearl business cards and Square business cards available. And if you need anything else, you can click here and get 40-50% off your purchase on many other items! I took advantage of this deal to re-order my cards. I’ve been giving a lot of them out lately! Simple Steps to Save at Target! So many moms love Target. Really what’s not to like? Most locations have a Starbucks, so you can have coffee while you shop! I’ve been a Target shopper longer than I’ve been a mom and here are just a few reasons why I love shopping at the Bullseye! You can stack Target coupons and manufacturer coupons. Target has printable coupons on their website here. 99% of them are Target coupons, meaning they are only redeemable at Target. Stacking coupons leads to greater savings. If you are looking to print manufacturer coupons (redeemable at any store), click here. I save 5% every time I shop by using my Target Red Card. It’s a debit card and it’s Target branded, so I can only use it at Target, just like an ATM card (with a PIN). Target Price Matches. Currently, Target matches prices from Walmart.com, Amazon.com, BestBuy.com, ToysRUs.com, and BabiesRUs.com. You can use coupons on a price match too! This is great if you have a Target Coupon and a manufacturer coupon to go with your price match! To learn more about price matching at Target, click here. Their return policy is pretty good. Especially if you have a Target Red Card. If you want to know if your local Target carries an item or has a specific item in stock, you can check online. That saves you time, energy, and gas! Target App: Target Cartwheel used to be it’s own separate app, but now it’s all located within the Target App (available in the App Store for free). The Cartwheel section of the app offers savings in a percentage most of the time (instead of dollar off offers). You choose specific offers, based on what you buy, and there are new offers all the time! The best part is that you can use Target Cartwheel, a Manufacturer Coupon, and a Target Coupon all on the same item. And here is the last reason: Target is a participating partner in most of the rebate apps (you check out a full list here). So, you’ll be saving a few extra pennies (or dollars) in no time. 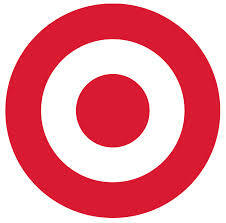 If you are a Target shopper: Why Target over other Big Box Retailers? November 26, 2016 Abby H.
With the Holidays approaching, most of use have either stocking stuffers to purchase of at least one gift exchange to attend. I’ve collected 10 great frugal gifts that would be a great addition to any holiday! Most of these gifts call for creativity and imagination. They won’t need batteries or make horrible sounds (for the most part). These are all gifts I would buy (or have bought) for my kids. These hair bows for babies and toddlers are perfect for the little girls on your list. Bitty Bird loves hers. If you’ve got a crafty kiddo, this craft kit is a perfect choice. None of the crafts require scissors, just a little imagination and glue (we use Elmer’s white glue). Speaking of crafty kiddos, if you’ve got one on your list that likes to make jewelry, this Melissa & Doug bead set has over 200 beads, perfect for hours of creativity. Is your kiddo a budding scientist? We have this science kit and Lil’ Man LOVES it. There are 11 scientific experiments for kids to conduct (all with grown ups help). No science experiment is complete without a lab coat. Lil’ Man has this one. He even wore it at Halloween. He was Dr. Doofenschmirtz from Phineas & Ferb. You can see photos on my Instagram feed. Lil’ Man got this set last year for his birthday. It’s an awesome set. It’s super fun, and you can hatch and raise Triops. Think Sea Monkeys on steroids! And you can actually see the trips grow and live. It’s nifty. I think everyone in the family enjoyed it. These cool interlocking blocks. They are little man approved. Magnetic Mini Tile Kit. They would make cool refrigerator magnets! This super cute (and mess-free) stained glass set. I love anything by Melissa & Doug. They make very well made toys and their craft kits yield great keepsakes! What kinds of stocking stuffers do you buy for your kids? November 23, 2016 December 8, 2016 Abby H.
Most of you know that I love Ralphs, which is the Kroger affiliated store in Southern California (You can find your local Kroger affiliated store here). Did you know that when you scan your Ralphs card at checkout you earn fuel rewards? Fuel rewards are discounts in the form of cents off at the pump at local gas stations. Well, Kroger is sweetening the deal!!! Now through 12/13/16, when you buy any Gift Card, you will earn 4x the fuel rewards! Just in time for holiday shopping! Gift cards make great gifts! I’ll be stocking up on a few for Lil’ Man’s teacher. She always needs Michael’s and Target Gift Cards to buy supplies for the class. Stock up on gifts now for the holidays! Gift Card Selection varies by store, but you’re bound to find more than a few that you need! Double Dip! Some Credit cards give you extra points or cash back when you make purchases at grocery stores. Use this to your advantage! Earn Credit Card Points/Cash Back and fuel rewards! It’s a win/win! This is a sponsored post, thanks to Tatu Digital Media for including me on this awesome offer and giveaway! All opinions are my own!